Want to get to know Brooklyn a bit better? Wondering about different neighborhoods? Join CAA Brooklyn for its first walking tour! 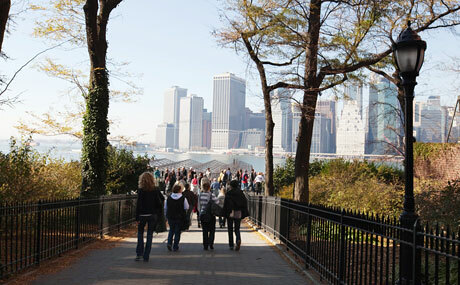 We will be exploring Brooklyn Heights on October 21. On this tour we will discuss the neighborhood’s agricultural roots, its emergence as the country’s first suburb, and its 20th century decline and dramatic regeneration. Tours are presented rain or shine. Limited tickets! Big thanks to Seth Kamil '90GSAS '93GSAS, President & Founder, Big Onion Walking Tours for providing us with a special Columbia discount! Ticket cost includes lunch and tour. Lunch location and meeting point will be emailed separately closer to the date.